Yesterday, we went to collect our monthly cheese supply from the Erbins in Angous. For generations the same family have raised their sheep for spring lamb and milk and make what we think is the most fruity and grassy cheese, one can find, to sell exclusively at the local markets. 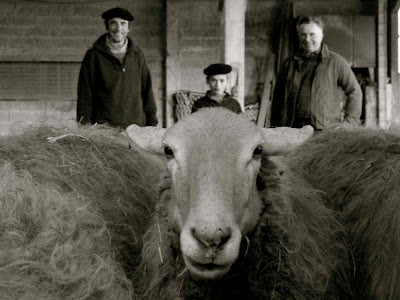 Papa Pierre, his two sons, Michel and Benat work together on the farm, sowing the grand roux corn, sunflower seeds and grass that will nourish the sheep and make their milk rich and creamy for cheese. 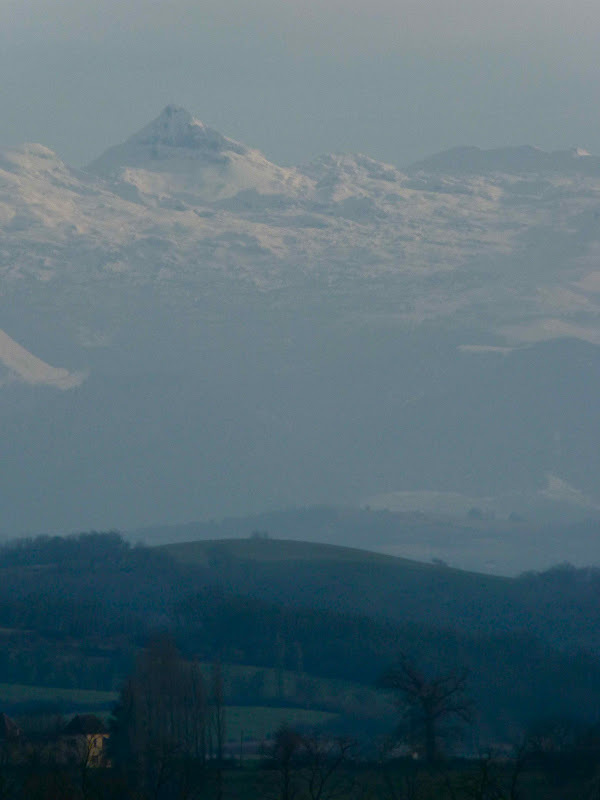 From now until Autumn, they sell a greuil that is the mountain equivalent of fresh italian ricotta but pleasantly lumpy and light with a naturally sweet aftertaste. We eat it as we would a yoghurt with fruit compotes, fresh strawberries or honey and often as a garnish for a rustic vegetable soup. 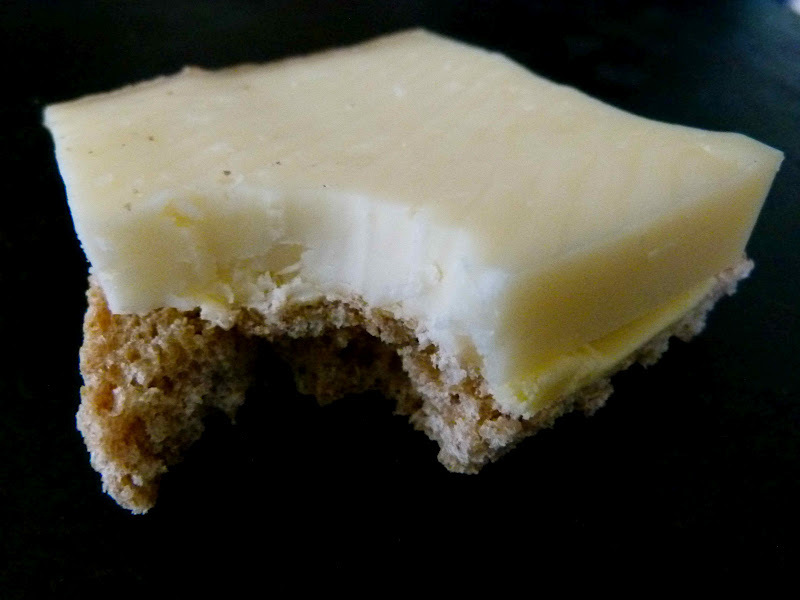 The cheese itself is best young when we still taste the grass and meadow flowers. Later, when more mature, its our local alternative to a parmesan or pecorino. The sheep are still kept indoors for most of the day, feeding on their hay and sunflowers seeds until the grass starts growing and they can be left to themselves in the meadows. 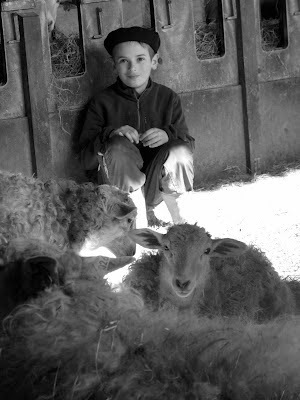 In June, all the family and animals leave together for the high mountain pastures where the sheep are free to roam and nibble contentedly on wild flowers and rich summer grasses. 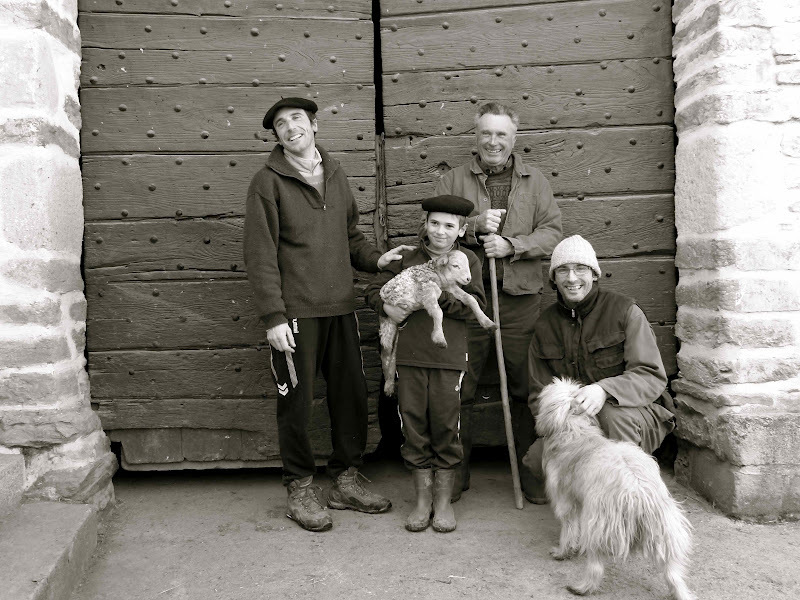 Pierre and his patou mountain dog will stay with them throughout the longer lazy days and continue making an "estive" cheese, that tastes even more blossomy. 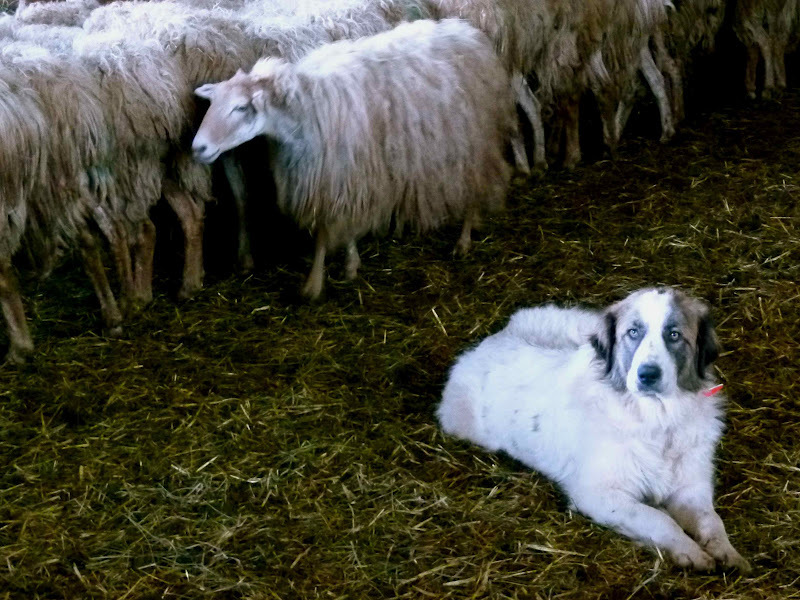 Their patou sheepdog has no name, no contact with humans so should never be caressed or petted so he bonds as closely as possible with his sheep family. He is not a herd dog but a brave and vigilant guardian of the the flock which he stays with night and day, protecting by dissuasion his adopted family from feral dogs, humans and bears. 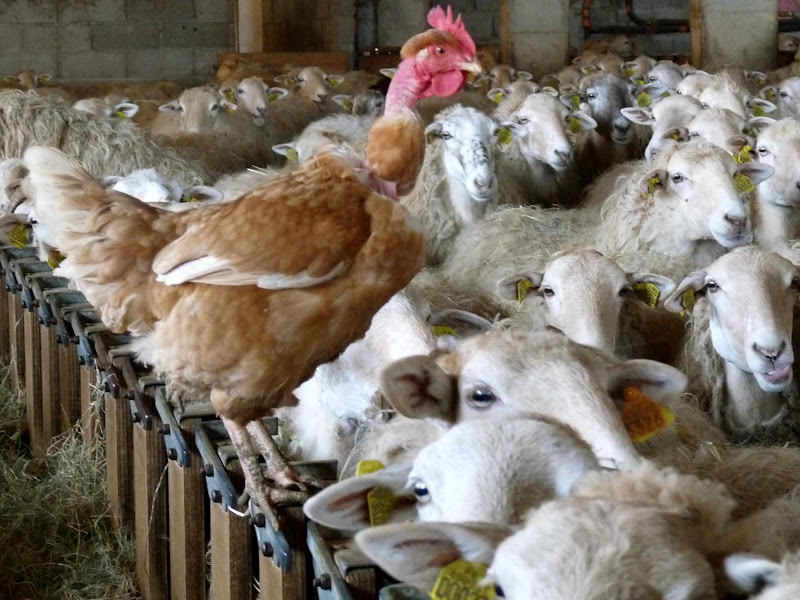 Of course, I went to pat him and received a look of total stupefaction from this intelligent animal who must see us humans as lesser beings than his woolly family. 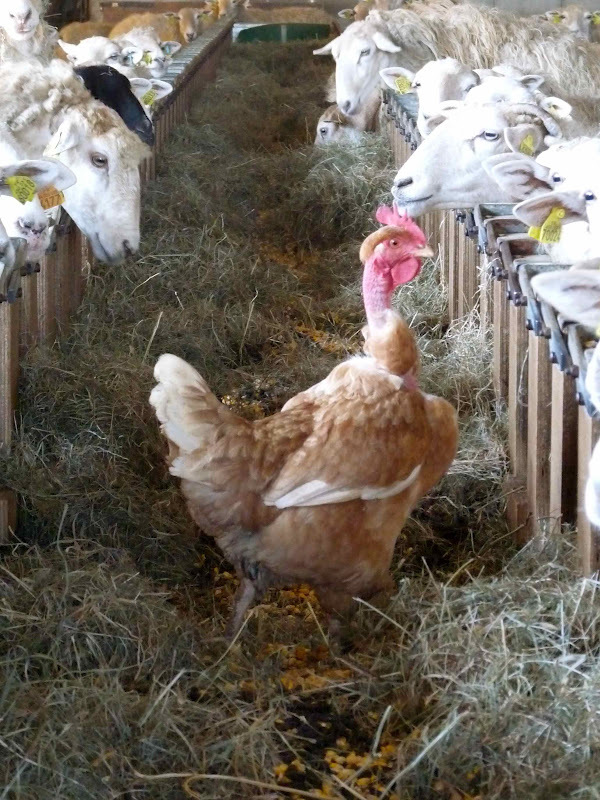 The farm chickens hop along the backs of the feeding sheep looking for room to lay an egg in the best spot. Its lambing season and twins were born just before our arrival and are already solid on their feet and feeding from their tired but upright mother. 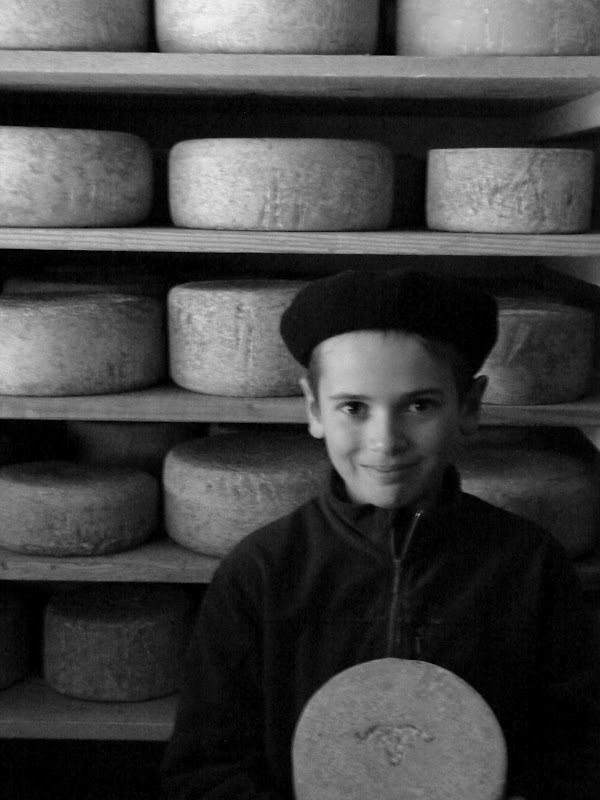 Julian, Michels young son is considering whether he will become a cheesemaker or cheese affineur in his adult life. One thing is sure, is that he is the cutest, sweetest farm guide we have yet met. The cheese is brined and dried on wooden palettes in the saloir and stamped with their horned family symbol. Once mature, it is sold Saturdays by either Pierre or Michel at Sauveterre market. This family is the team of the century! Recipe : how to eat Erbin's cheese....! and for mamia..which i don't know if you have there? 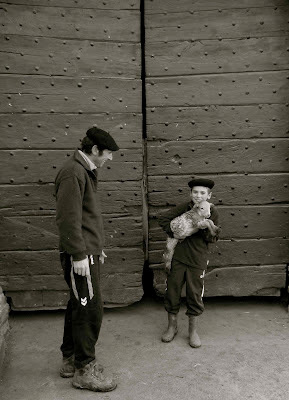 a sheep cheese, almost like yogurt,sold in terra cotta pots, with a burnt stone thrown in to add a smoky flavour. although it is cold there...it inspires posts like these! Je suis tombée sur votre Blog un peu par hasard... et quelle bonne surprise !! Vos photos sont souvent très belles, mais dans cet article, je les trouve magnifiques (surtout la 3eme avec la tête de mouton !!). Continuez de sublimer ainsi notre beau métier de paysan.